You know what comes to mind? Puff the magic dragon! Do you think magic dragons were born out of dough? Let's make some. 3.3/4 cups unbleached all purpose flour (490 gr broodbloem) and let it rest for at least 6 hrs on your countertop. Make sure you use a big enough pot, it will easily triple/quadruple. Store in refrigerator for at least 24 hours. 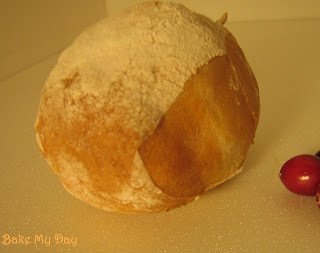 This dough is very supple and elastic, wonderfully soft like a baby's bottom. First rise 1.1/2 to 2 hours. 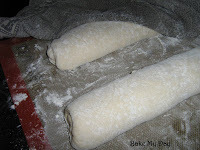 Turn the dough out onto your floured work surface and divide into 2 equal pieces. Deflate with very gentle hands and pat into a rectangle. 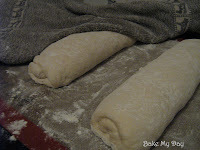 Make a log by rolling/folding the dough onto itself, make sure you create surface tension. Seam side down, cover with teatowel and let rest for another 30-45 min. Try to make your rolls not too thin, aim for kind of square instead, they will get so much oven spring that they are likely to keel over on their sides if too small. This amount of dough will give you approx. 10 rolls. Bake in a preheated oven (425F or 220C) until gold and crusty for about 22-28 minutes. 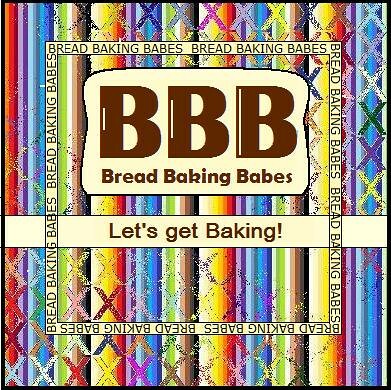 I baked mine on a baking sheet with lining but I can imagine the effect when baked on a baking stone. Please mind: always check on your dough, given amounts of liquid may vary according to the flour used. That is a beautiful puff...auumm...roll. I wish I lived by the sea with puff. Oh wow, what beautiful rolls! And you really shouldn't worry about the card, really! These are gorgeous, and may send me back on a roll making binge. (I thought I'd calmed down about the small breads thing, but I guess not.) What kind of bizarro am I that photos of beautiful rolls make my heart beat faster? very, very nice...I'm imagining them hot and steamy with butter on them, YUM! Mega lekker!!! Wat een prachtige 'occhi'(ogen c.q. gaten) hebben je broodjes. i must be wierd too: your crumb makes me feel like Lindy!! 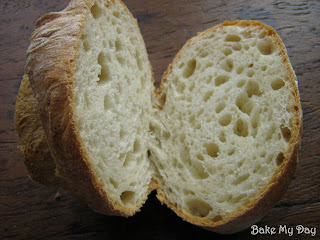 I'm a big fan of bread with biga, the crumb is always so moist! i think that's another recipe i have to try here!